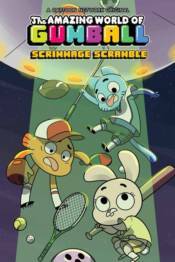 Anais decides that it's time that she learns a sport and goes to Darwin and Gumball for guidance, but they don't know how to play any sports, either! Afraid to lose face to Anais, they make up their own sport� that becomes an intergalactic sensation?! COADY & THE CREEPIES SOFTCOVER CODA VOL.01: DISCOVER NOW ED.